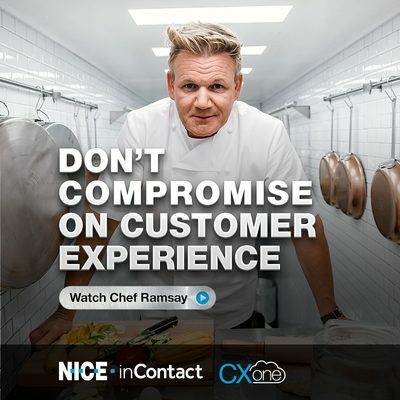 NICE inContact have announced that NICE inContact CXone, the world’s #1 cloud customer experience platform, has been named a leader for Cloud Contact Centres by Forrester Research. CXone received the highest possible score in the market presence category and is top ranked in the current offering category. The Forrester WaveTM: Cloud Contact Centres, Q3 20181 positions CXone among the most significant cloud contact centre solutions in the market. NICE inContact is the cloud contact centre software leader with the world’s #1 cloud customer experience platform. NICE inContact CXone™ combines best-in-class Omnichannel Routing, Analytics, Workforce Optimisation, Automation and Artificial Intelligence on an Open Cloud Foundation. NICE inContact’s solution empowers organizations to provide exceptional customer experiences by acting smarter and responding faster to consumer expectations. NICE inContact’s DEVone developer program is an extensive partner ecosystem, providing applications from partner companies on the CXexchange marketplace that are designed to integrate with CXone. NICE inContact is recognized as a market leader by Forrester, Gartner, Ovum, IDC, Frost & Sullivan, DMG, and Ventana.